The Baxter uses tailored white fabric detailing on a round flush mount housing to accentuate its simple design. 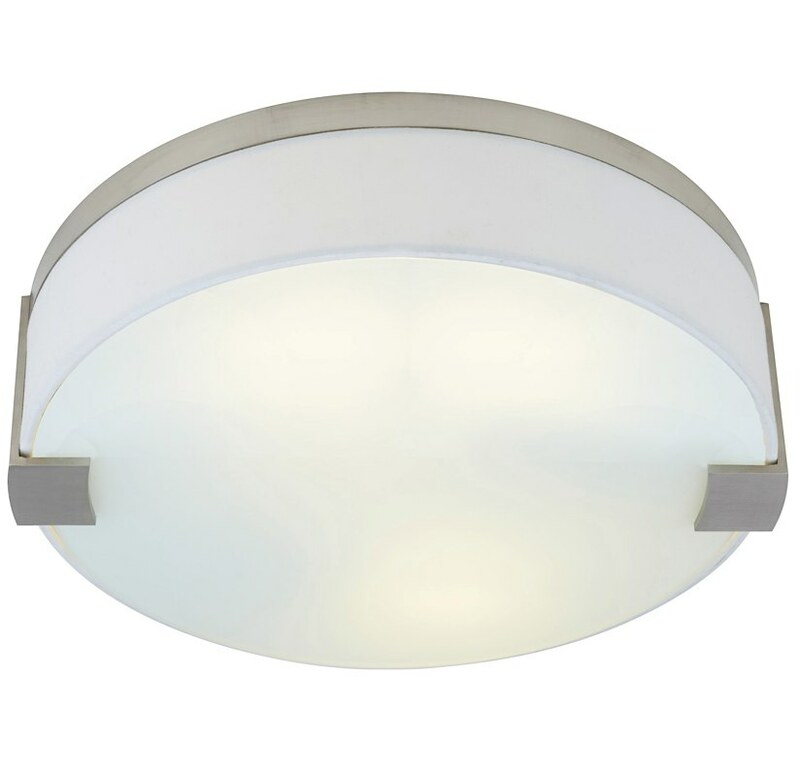 The die cast arms on each side of the glass add the perfect distinction and highlight the fixture's appeal. A glass diffuser provides glare free light. Choose between satin nickel or antique bronze hardware. Choose between three lamping configurations: 120V incandescent, 120V compact fluorescent, and 277V compact fluorescent. Includes two 60 watt medium base lamps or two 26 watt compact fluorescent lamps. The incandescent version is dimmable with a standard incandescent dimmer. For full information, download the specification sheet.